Are you just cutting around the yard? Will you be using the saw for firewood? Gas chainsaws are better for bigger jobs like routine firewood cutting and felling medium-to-large trees. With a gas chainsaw, the work goes faster, too. Which helps when you’ve got a lot to cut. How thick is the wood you’ll be cutting? This question is really about the size of the bar and chain you’ll need. For example, a 12-inch guide bar can cut a log nearly 2 feet in diameter. Electric chainsaws have smaller guide bars, generally speaking. Also consider how hard the wood is. Oak and walnut can be tough on an electric saw. How big of a saw can you handle? 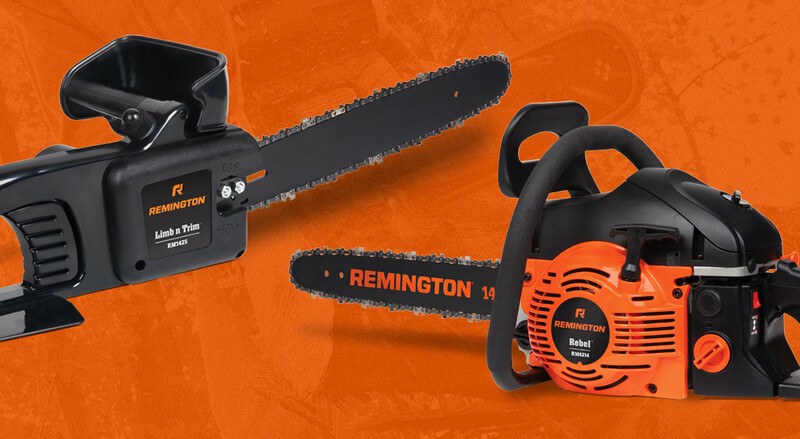 Electric chainsaws are smaller and lighter than gas-powered models. You can control them easier and you won’t tire out as fast while working, which can also be a safety factor. How easy do you want cutting to be? Electric chainsaws start up with the press of a button, and take very little effort to maintain. Gas chainsaws are more complex machines and require more to operate, like priming to start, mixing fuel, and performing routine maintenance. Best advice for buying a chainsaw: be realistic. More power means more to handle and maintain. Less power means limited cutting capacity and mobility. Weigh all the factors, and then pick the safest and most suitable saw for your needs.